Outside of a few flashbacks to their younger years, the Fang parents are played by Christopher Walken and Maryann Plunkett. Though he doesn’t look or act much like his youthful counterpart, Walken is still convincing as the type of artist (somewhere between performance and con) who refuses to give up his tricks as he ages out of them. Even when freelancing journalist Baxter winds up hospitalized and released into his parents’ custody against his will, and Annie arrives to retrieve him, their parents insist on enlisting them for another performance art piece. The kids refuse, and shortly after their elaborate prank involving fake coupons falls flat, the Fang parents disappear. The police suspect accidental death; the remaining Fangs are less sure that mom and dad are really gone for good. It’s at this point that The Family Fang switches from an adult-kids-returning-home dramedy to a sort of familial mystery. It’s a great hook that the movie manages to take almost half of its running time to reach, often by dragging individual scenes out without developing or deepening them. The characters spend a fair amount of time discussing the significance of the film’s flashbacks with clipped obligation, making shorthand what a novel would probably have time to really explore while still not cutting to the chase. This is all the more surprising given that the script is by playwright David Lindsay-Abaire, whose self-adapted screenplay for Rabbit Hole gave Kidman one of her best roles. Walken’s Caleb Fang has a mantra of sorts: “If you’re in control, the chaos will happen around you, not to you.” Bateman does maintain a certain directorial control, and true to Caleb’s words, The Family Fang sometimes seems to be happening around him—in the vicinity of two good performances from Bateman and Kidman, rather than in concert with them. Bateman’s instincts for restraint are probably spot-on in theory. 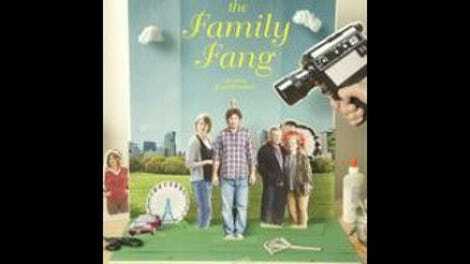 The Family Fang, with its bizarre art projects and family melancholy, could easily become a quirk pageant. But the movie downplays its whimsicality so thoroughly that the real intrigue—the mystery of what has or hasn’t happened to the Fang parents—gets pushed off, practically out of the movie. It’s not that the mystery isn’t resolved so much that the movie doesn’t seem all that concerned with its resolution, or its set-up, or a sense of discovery in general. What’s left is those two strong performances. Bateman is especially funny in the sequence that lands Baxter in the hospital, and Kidman never resorts to shallow-actress clichés when indicating how a life in different kinds of spotlights may have frayed at Annie’s nerves. They both deserve a riskier, weirder, less flat movie. Bateman has made the kind of adaptation that unintentionally advertises its source material, as in: All of this must have worked so much better on the page.